Britain’s political turmoil has come to an end. Asquith may have thought that by resigning as Prime Minister he would reveal the weakness of his opponents. If so he was mistaken. Admittedly Andrew Bonar Law, the Conservative leader, was unable to attract the support of enough Liberals to form a government. David Lloyd George however has better luck. He rustles up the support of enough of his fellow Liberals to form a stable coalition government with the Conservatives. Asquith remains leader of the Liberal party. Most prominent Liberals follow him out of government. 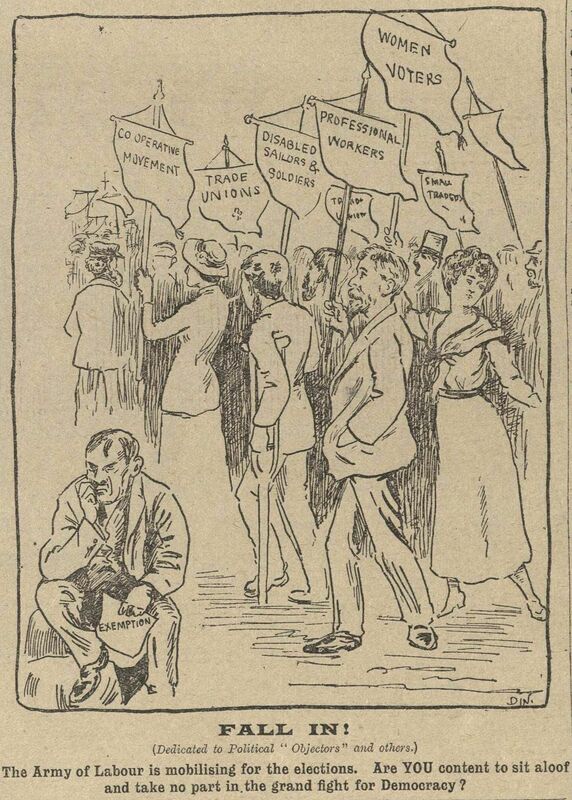 However the party is now split into factions supporting either Lloyd George or Asquith. Lloyd George’s appointment is bad news for both Haig, the Western Front commander, and Robertson, the chief of staff of the British army. 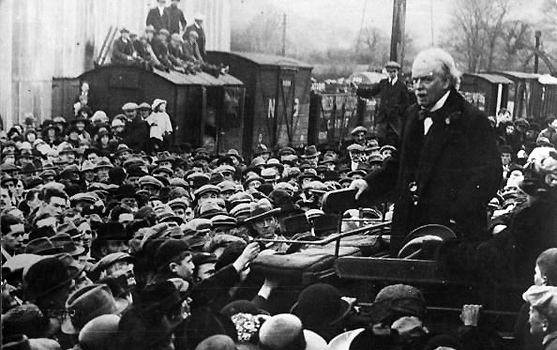 Lloyd George is unimpressed with how they have been conducting the war. However he does not have any obvious alternative to Haig and Robertson’s approach. In any case, for the moment he feels too insecure in office to move against these powerful figures. British politics is in a ferment. Prime Minister Asquith’s handling of the war is attracting much criticism from the press, who are arguing that the country needs more vigorous leadership. Asquith is also facing challenges from within the coalition government, with his Liberal colleague, David Lloyd George, the War Minister, and Andrew Bonar Law, Conservative leader and Minister for the Colonies, plotting against the prime minister. In an increasingly excited atmosphere, Asquith attempts to sack Lloyd George and reconstitute his government, but then realises that this would lose him the support of the Conservatives and Lloyd George’s allies within the Liberals. So now he tenders his own resignation to the King. He is not quite giving up yet: the Liberal leader hopes that no one else will be able to form a government, which would see him recalled to the premiership. Allied leaders are meeting in Paris to decide on how best to prosecute the war. The old argument between easterners and westerners continues. The representatives of Russia, Romania, and Serbia favour the despatch of a larger force to Salonika in Greece, to press the Central Powers in the Balkans. For the Serbs this might allow them to regain their country, now under enemy occupation, while the Romanians hope that an increased French and British presence in Salonika might save them from the same fate. The French however are more interested in concentrating on the Western Front, so that they can expel the Germans from their country. The British generals concur, while their politicians are more ambivalent. Asquith, Britain’s prime minister, attends the conference and dines with Haig. Asquith is pleased with the recent success the British have enjoyed at the Somme. Haig is pleased by this political vote of confidence. He orders his generals at the Somme to halt any further attacks for now, in case something untoward happens that displeases Asquith. Winston Churchill resigned from the British government after the failure of the Gallipoli campaign. He rejoined the army and served on the Western Front, commanding a battalion of the Royal Scots Fusiliers. But the military life turned out not to suit him, so he gave up his commission and returned to Westminster, where he remains a member of the House of Commons. Churchill has written a memorandum criticising British progress at the Somme. He argues that the battle is a waste of British lives and resources, with the minimal gains failing to justify the losses. He sees no prospect of a breakthrough and effectively calls for the offensive to be halted. Churchill’s letter is not made public but it is circulated to members of the Cabinet and the government’s War Committee. The War Committee meets today. Robertson, the chief of staff of the British army, reads a report from Haig designed to counter Churchill’s claims. Haig claims three positive results of the battle so far. Firstly, the German pressure on the French at Verdun has been relieved. Secondly the German have been prevented from sending troops east to meet the Brusilov Offensive. And thirdly, the battle has had a generally positive effect on morale. Haig furthermore asserts that the British casualties suffered at the Somme are not particularly heavy. He recommends that the battle be continued, at least into the autumn, if not beyond. If Churchill’s letter created any misgivings on the part of the politicians, Haig’s report dispels them. Asquith judges Haig’s resport to be “very satisfactory”. The Prime Minister instructs Robertson to reply to Haig assuring him that he retains the War Committee’s full support.